To create the perfect alpine spa we have built both an outdoor cedar wood hot tub on a new terrace as well as an indoor hydrotherapy jacuzzi spa. 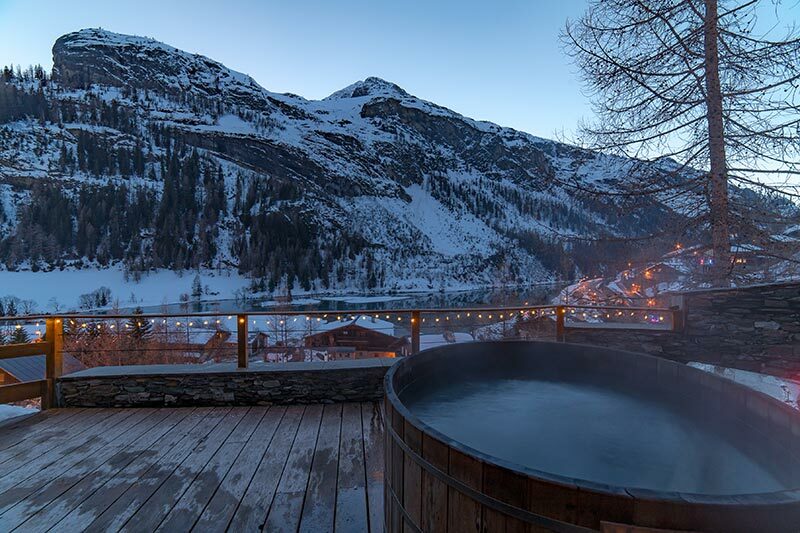 There’s nothing quite like diving into a steaming hot tub in the snow after a hard day’s skiing. Just relax and take in the stunning mountain views from our new secluded terrace overlooking the lake and pistes. We have sourced the perfect cedar wood tub (all the way from Alaska) to complement the luxury indoor spa. The hot tubs and spa are also available in the Summer…to soothe tired muscles after a hard day’s hiking or mountain biking. The perfect place to relax with a glass of champagne at the end of the day…or, if the weather’s bad, don’t bother going out at all. 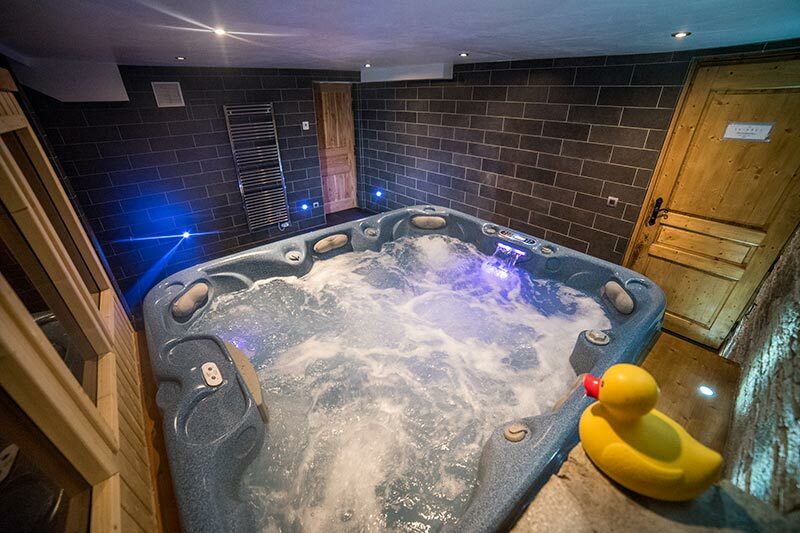 Why not spend a day at the chalet and pamper yourself with a massage, sauna, relax in the hot tub, read a book in front of a roaring log fire and watch the world go by from the magnificent vantage point of the lounge. It also has a domed foot-well that is embedded with jets for a fabulous massage sensation for aching feet. The four corner seats of grand proportions offer a space where you can really indulge yourself in the benefits of hydrotherapy; two of these seats also feature calf and wrist jets. Our luxury “Spaform Prestige” Jacuzzi / Hot Tub is 2.4m x 2.1m and creates a sociable atmosphere as it features all-centre-facing seat orientation where guests can interact with one another easily. With seating for up to 6 guests, in large comfortable seats with multiple integral massage jets and heated air injection system, it completes a most intimate and inviting space to totally unwind after a hard day on the piste.